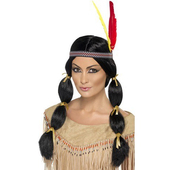 Ladies Pocahontas costume includes a one piece fringe detailed brown dress with zip closure. Costume also includes a pair of fringe detailing arm cuffs. 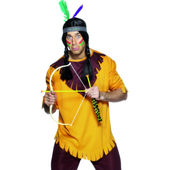 Bow and Arrow may be purchased separately, check out our Costume Accessories section. Bought this costume for Halloween 2011. It's looks exactly as it is in the picture. It's good enough quality and everyone knew I was supposed to be Pocahontas without me having to tell them. It's quite short and I wore small black shorts underneath just in case! 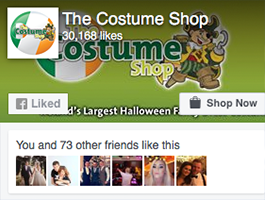 Great costume would definitely recommend!